"Have a happy period" was the slogan for Always pads and pretty much angered women everywhere. It was just so silly. Sure, there might be times when you're not in a full-on pain session where you feel like you're going to explode with pain, but periods aren't fun and they don't bring anyone happiness unless it alleviates a pregnancy scare. Periods aren't happy at all, mostly due to the fact that they involve menstrual cramps. Cramps can be debilitating to the point where you can't get out of bed. You try all kinds of methods to eliminate the pain like medication, hot baths and the sometimes helpful heating pad. Sometimes these methods work, or work a little, but sometimes you just have to power through the pain. All women aren't fans of period pain, so when I heard that there was a new invention that claims to be "The Off Switch for Menstrual Pain," I was elated. 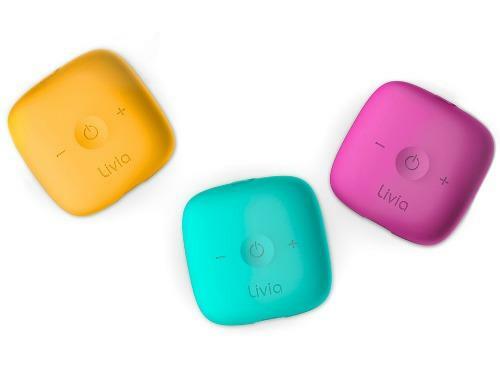 Livia (which is currently in the middle of its Indiegogo campaign) is a drug-free device that, when worn and activated with a touch, "closes the 'pain gates' by stimulating the nerves and blocking the pain from passing to the brain." It promises to work faster than pills, has no side-effects, relieves pain for as long as it's on, and you don't need to buy it repeatedly; you buy it once and use it for years). Best of all, you won't build up a tolerance for it. The science behind Livia actually makes a lot of sense. 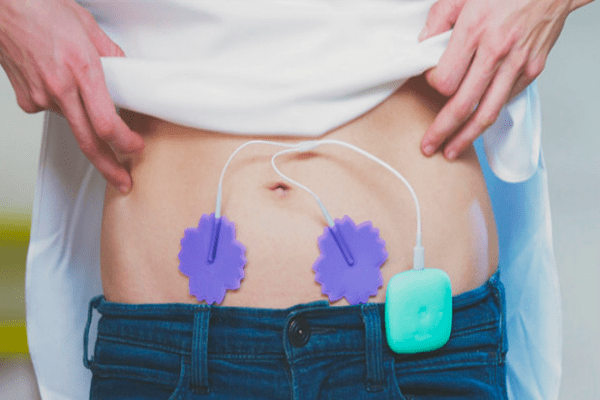 The user simply attaches the device's electrodes to the point of pain via its gel stickers (not unlike a really simple EKG) and presses the power button. The machine then transmits an electromagnetic pulse to keep the nerves occupied, which closes the nerve gate and prevents pain signals from passing through the body. This is called the Gate Control Theory. Livia is pretty and extremely effective at the same time. 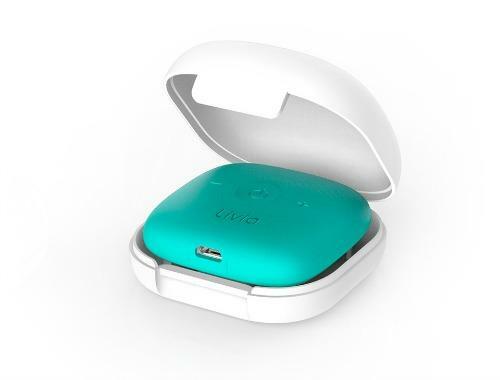 "Over 50 percent of women suffer from primary menstrual cramps, for which they consume large amounts of painkillers," says Professor Bari Kaplan, a medical advisor for Livia, on the crowdfunding campaign page. "Livia uses a pain relief method that does not involve drug consumption... The device stimulates the nerves, making it impossible for pain to pass. The method Livia uses has been proven effective in several clinical studies." Livia's Indiegogo campaign's goal was to raise $50,000 and they've already surpassed it with $145,409. It seems like everyone is excited about this product and it's not too late to preorder your own. The preorder price is $85, which is a huge discount on the $149 retail price for when they release the product in October 2016. Just think, starting in October you really can start having happy periods!